Need an Idea? Inspiration? Instruction? Visit Our Pinterest Boards! Pinterest has become my go-to resource all things crafty. I still flip through magazines and I’ll never stop collecting patterns and books, but for quick inspiration – and to see what other makers are creating – I go to Pinterest. 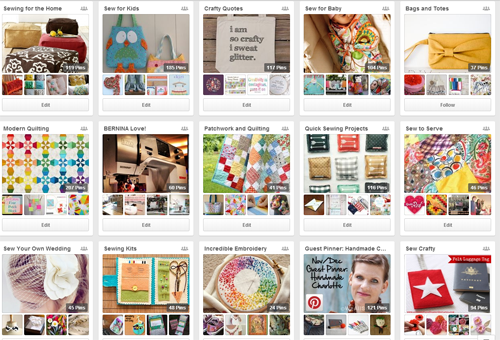 Let me back up a minute for those who aren’t yet familiar with Pinterest. It’s sort of like a big collection of bulletin boards where people post photos and links to, well… just about anything. 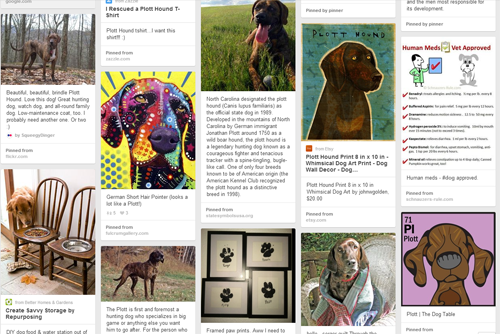 For instance, in my personal Pinterest account I have a board called “Love My Plott” where I pin about Plott hounds and link to Plott history, photos, books, etc. 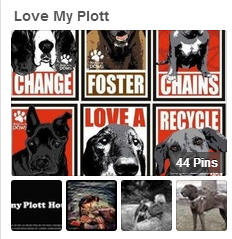 If you enter “Plott” in the Pinterest search engine, my board and pins will show up in it somewhere, mixed in with pins from all the other Plott-lovers on Pinterest. Now picture this: Hundreds and thousands of people, adding items (“pins”) to their boards, on absolutely any topic you can imagine. That’s Pinterest. It’s big. Really big. And if I can find hundreds of pins on relatively-unknown Plotts, just imagine what you can find on sewing and quilting. It boggles the mind! Next time you’re in need of some inspiration – or just want to look at pretty pictures and see what other folks are making – come visit us on Pinterest. Be sure to click on the Follow Board button to follow your favorites! 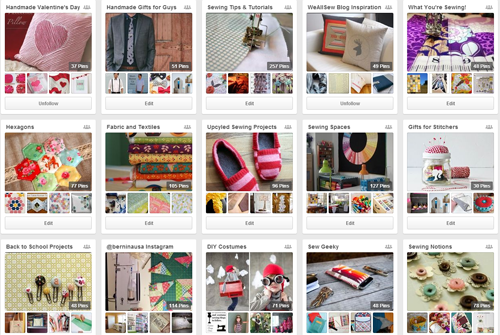 Better yet, join 14,093 other WeAllSew fans and follow ALL our boards! Hope to see you on Pinterest soon!